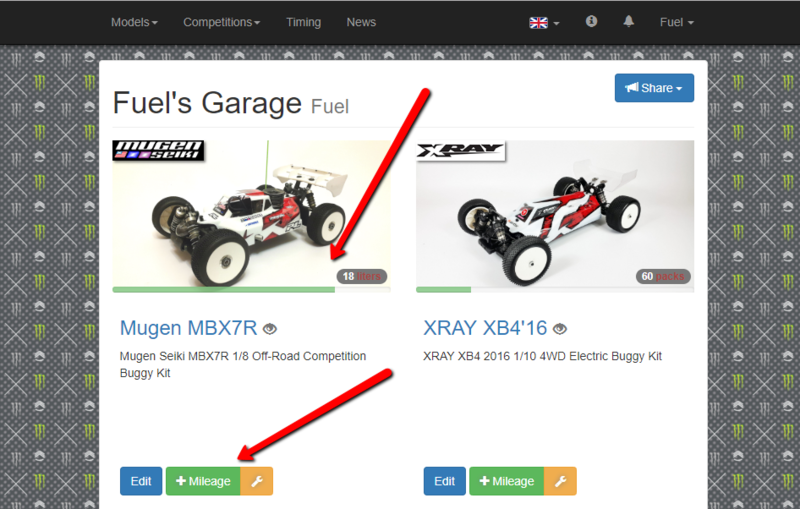 Starting from today there is a new feature is available for all RCGarage users. This feature will allow a particular user to keep track of a model mileage and model maintenance events related to any RCs in user's garage. It is not that rare that racers and other guys and girls from RC hobby keep exact track of how much battery packs have been used or how many gallons of fuel have been burnt on a particular model. One of the advantages of keeping a track of model mileage is to get clear vision of when to make a maintenance especially if there are many models in the garage and it's hard to keep everything in mind. There is a side note about future development of this feature. There will be more opportunities related to mileage and maintenance for a user in a very near future that will extend the current feature set. Stay put for more!